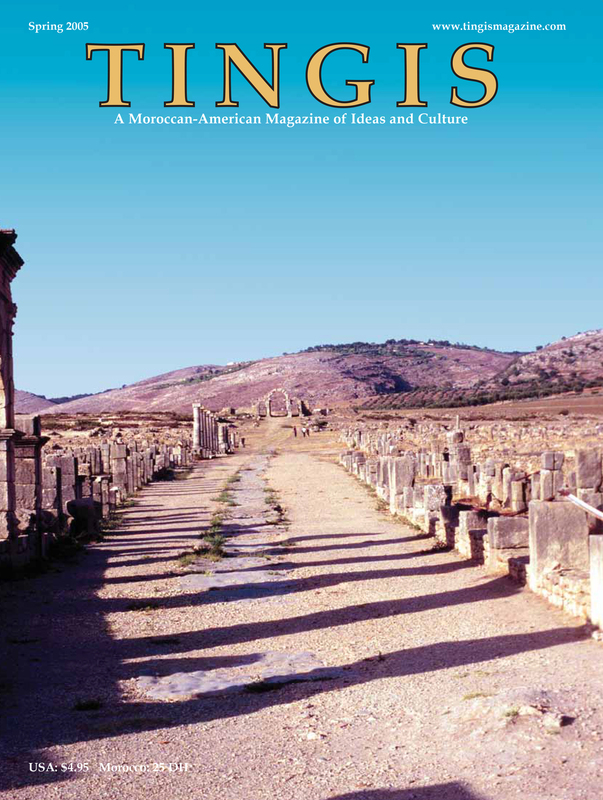 Tingis was founded by Khalid Gourad and Anouar Majid as a quarterly Moroccan-American print magazine in late 2003. 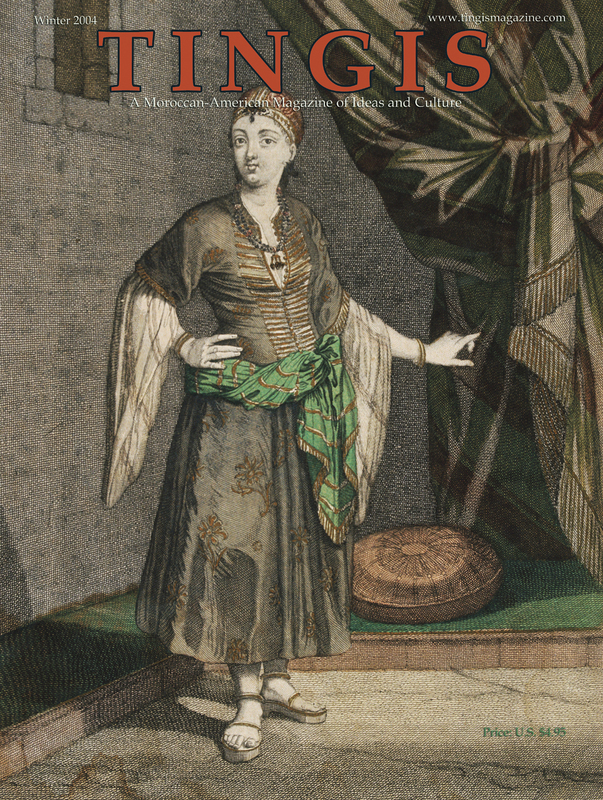 In recent years, its scope has been expanded to address issues of global cultural significance and provide a forum for progressive and liberal writers engaging in a critical analysis of Islam in its broad historical context. 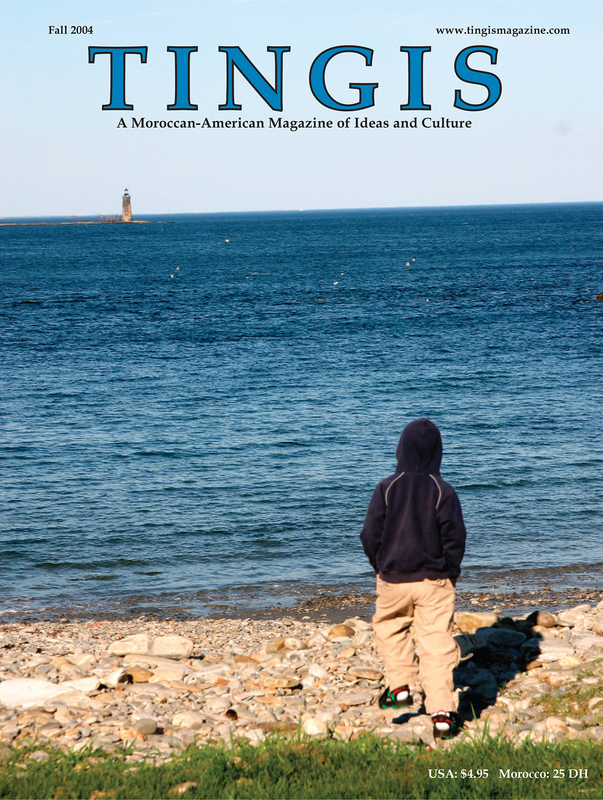 In so doing, the magazine remains motivated by a deep concern for the future of Muslim-majority nations and Muslims around the world. Tingis may be the corruption of a Berber name, but in one account of Greek mythology, Tingis was the wife of the giant Antaeus (son of the gods Neptune and Gaia) and, later, of Hercules. When Rome annexed the North African kingdom of Mauritania in the first century AD, parts of present-day Morocco were also named after Tingis—Mauritania Tingitana. 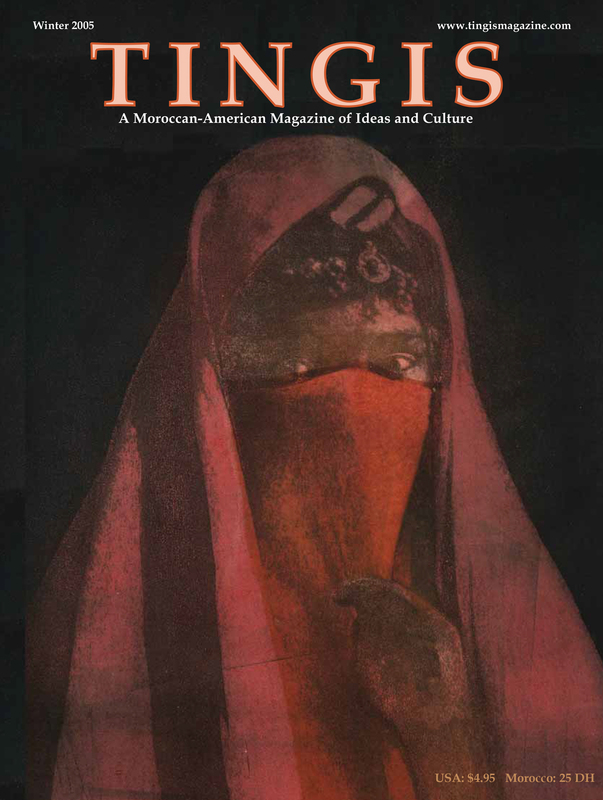 By using the pre-Islamic name of a city named after a woman, the magazine seeks to highlight the forgotten legacies of the Arab and Islamic worlds and the cultural complexities of Muslim-majority nations. 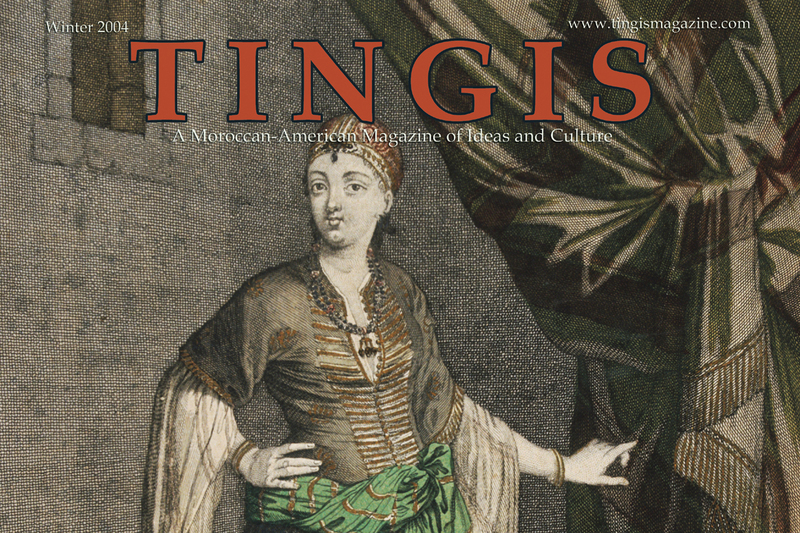 Since its mythical and dramatic beginnings, Tingis/Tangier has been known for its laissez-faire cosmopolitan culture that allows many religions and views to coexist, however precariously. In the 20th century, it attracted artists, bohemians, smugglers, fugitives, and writers. In the 1960s, the city entered a period of stagnation but is now re-emerging as a vibrant place of business, art and pleasure. 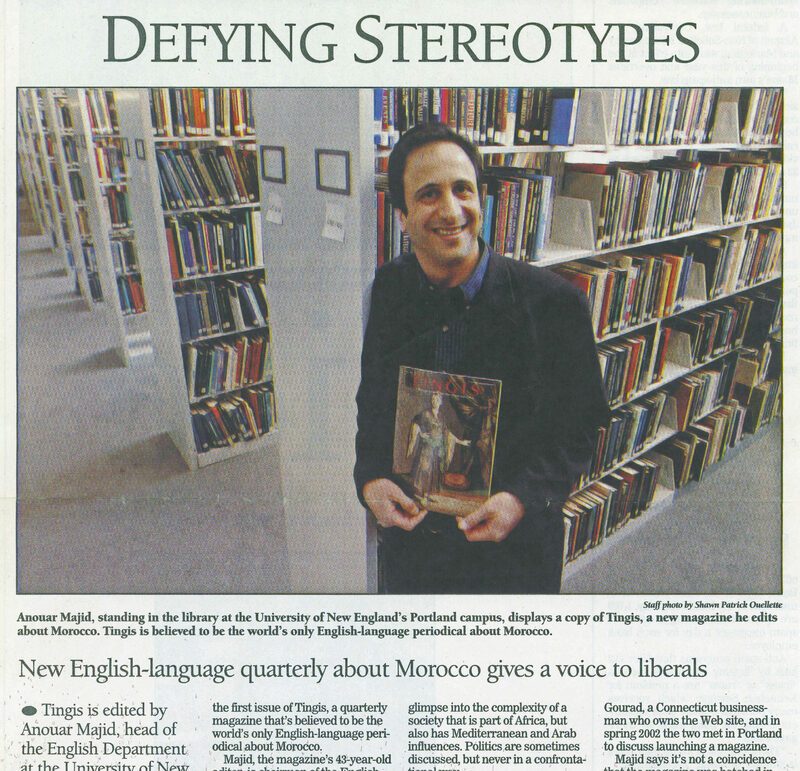 A 2004 Portland Press Herald article about the launch of the print version of Tingis with Anouar Majid posing for a photo in the library at the University of New England’s Portland campus.